Have you ever been totally puzzled by the peregrinations, bumps and grinds that children experience in their friendships? It was always endlessly fascinating for me to watch the way children bicker and argue with those children they declare to be their best friends. Both with my own children and those I taught, it was evident that there were constant readjustments being made in the relationships that children have with each other. With that I would like to welcome a relatively new author who is able to capture that paradox. Rebecca Bender has just two picture books in print, and is a relatively new voice in Canadian literature, but what a voice it is. 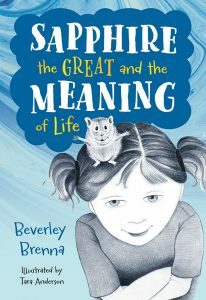 She has captured this unusual nature of friendship between children in both of the picture books available. …Giraffe and Bird…resonated so well with children that it won the 2012 Blue Spruce award voted on by thousands of children across Ontario. This title has been followed up by a hilarious sequel, Don’t Laugh at Giraffe. In this book, Rebecca examines the delicate nature of embarrassment and friendship… How Bird handles this situation is a wonderful blueprint for friendship and problem solving. Your children will go through many situations with their friends that they will have to grapple with and find solutions for. Having books on hand that show this as a normal process in friendships will support them in these journeys, and open the conversations with thinking about how to solve their own problems in a creative and positive way.